Does Butter Go Bad If You Don’t Refrigerate It? One possible reason for the benefits of acupuncture: Studies show that it causes us to release feel-good hormones, called endorphins, that suppress pain. I have never bothered to go back and see what the original literature was to support endorphins as a potential mechanism for a beneficial effect of acupuncture on pain. That endorphins are released as a result of a noxious stimulus didn’t surprise me; that is what endorphins are for. And endorphins are unlikely to be the mechanism for all the other diseases for which the WHO suggests acupuncture benefits. To my surprise, my brief search that day came up with very little information on the endorphins and acupuncture. What I wanted to know was the evidence behind the universal meme that acupuncture releases feel-good hormones. If Consumer Reports says it is so, it must be true, right? So I plugged ‘acupuncture endorphin’ into PubMed and went to work. I decided to start in the beginning, so let’s take a trip down memory lane and see what the reality is behind endorphins and acupuncture. Electro? You mean electric shocks? That ain’t acupuncture, at least not classic acupuncture in all its forms. related a certain analgesic effect during electrotherapy, with a reduction in pain of more than 50 per cent. During electroanalgesia we administered Naloxone (an antagonist of morphine). In 3 cases we observed a clear, although short, return of algic symptomatology. At the contrary, in other two patients Naloxone caused briefly a further and clear reduction in the pain. The brain and serum extracts of acupunctured rabbits injected into rabbits produced a marked analgesic effect on the recipient, as shown by a great increase of their pain threshold. This effect is counteracted by a specific opiate anatagonist, naloxone. The data suggest that the release of the endogenous substances with morphine-like biological properties, endorphins, is increased by acupuncture stimulation, thus inhibiting pain perception. As we know from the veterinary literature, pets owners assessment of their pets pain is suspect, so not compelling, but perhaps a good way to generate a super rabbit. Acupuncture analgesia was quantitated in the phenylquinone induced writhing test in mice. Both manual acupuncture and electroacupuncture significantly reduced the number of writhes, i.e. 47% and 51% reduction respectively. Naloxone (2 mg/kg) pretreatment abolished this antinocicpetive effect suggesting that an endogenous opiate-like substance was involved. Hypophysectomy did not alter the electroacupuncture induced inhibition of writhing. But how about non electro-acupuncture as a source of feel-good hormones? Standard acupuncture to unblock the flow of qi down meridians. Even less impressive. In one headache study, traditional Chinese acupuncture led to an increase in serum beta-endorphin in controls but NOT those who received acupuncture. Hard to credit endorphins for acupuncture pain relief with headache. Immediately following the post-acupuncture pain assessment, the patient was injected intravenously with a 1 ml. injection of 400 micrograms of Naloxone or a 1 ml. injection of 0.9% Sodium Chloride on a randomised double-blind basis. The effect on pain relief was noted immediately and after thirty minutes. No significant change in pain relief already obtained was noted after Naloxone in any patient. This does not support the hypothesis that acupuncture therapy is mediated by endorphin. No significant differences were observed in this immunoreactivity after prs, and the clinical analgesic effect was independent of the level of this immunoreactivity and its changes during these procedures. On the other hand, a positive correlation was demonstrated between plasma beta-endorphin concentration and the neuroticism index as evaluated by Eysenck’s personality inventory. In twenty patients with chronic pain syndrome, acupuncture treatment resulted in significant improvement of both pain and psychiatric symptoms and higher plasma concentrations of metenkephalin. Plasma beta-endorphin concentrations were unchanged. There is a consistent lack of change in plasma endorphin levels with acupuncture-like interventions. beta-endorphin are not significantly influenced by acupuncture and are therefore not likely to mediate acupuncture-related effects during labor. beta-endorphin immunoreactive material in blood is not released by any type of acupuncture as tested under low stress conditions. The study did not confirm earlier reports of release of plasma beta-endorphin during acupuncture. There was no significant difference in CSF dynorphin A or beta-endorphin levels between the AP-treated women and non-treated controls in late pregnancy. I suspect I missed the clinical trials that convincingly demonstrate the importance of endorphins in all the forms of acupuncture that are not electric. I looked, but I couldn’t find them. Does acupuncture release feel-good hormones called endorphins? It is a bad question since, as is so often the case, exactly what is meant by acupuncture is never specified. All the other forms of acupunctures? 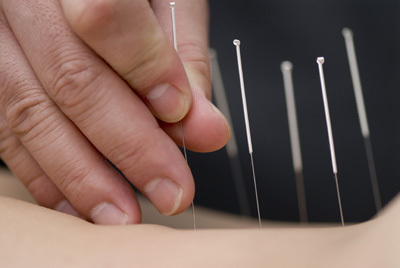 Almost all of the data suggests that for the more traditional forms of acupuncture, feel-good hormones have nothing to do with its alleged analgesic effects. That effect, as we know, is actually the same mechanism as beer goggles. Given how totally picky CR is in their product reviews, it is odd they did not bother to investigate the basis of the idea that ‘acupuncture’ releases feel-good hormones, it is electricity. Yet another fail when CR accepts the standard mythical narrative of acupuncture without actually reviewing the supporting information and then giving terrible advice. But that is the standard approach to reporting SCAM. Same as it ever was. I do wonder if I can actually trust their advice on the best car or laundry detergent when they have such a fail with health care, a topic far more important.